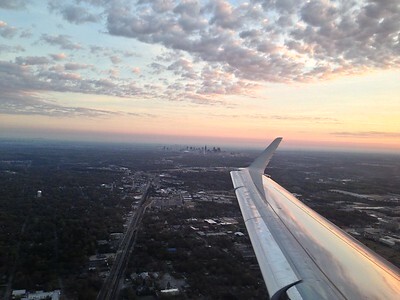 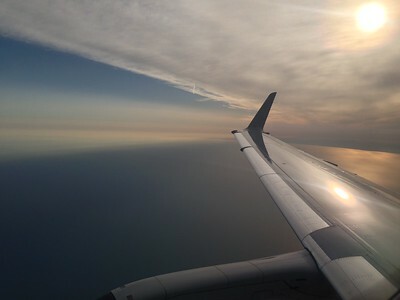 Wonderful morning light illuminates our right wing as we descend towards KORD for an AM arrival. 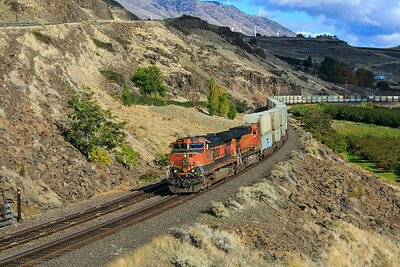 BNSF ES44AC 7463 leads a westbound stack train towards the town of Paradise, Montana and the junction with MRL's 4th Subdivision. 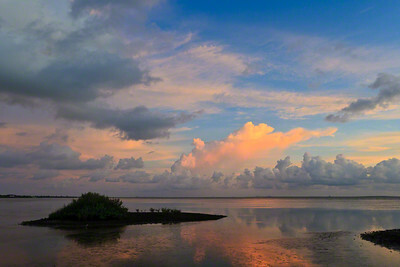 Mother Nature puts her stamp on another gorgeous sunset near Tampa, Florida. 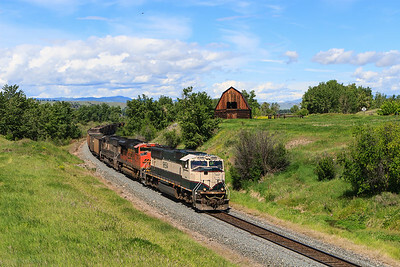 BNSF Executive SD70MAc 9654 leads an empty coal train past the iconic barn located near Jens, Montana. 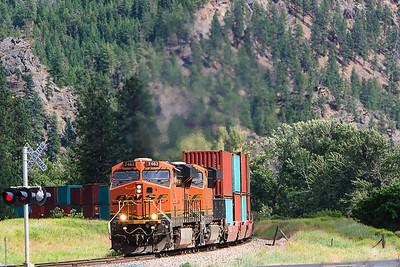 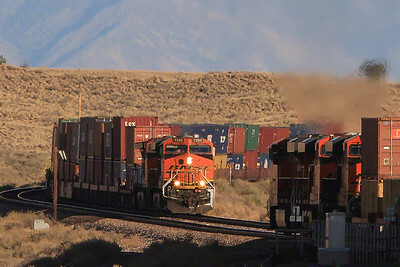 BNSF ES44AC 7463 hustles westbound towards Paradise, Montana with international containers destined for the high seas and points further west. 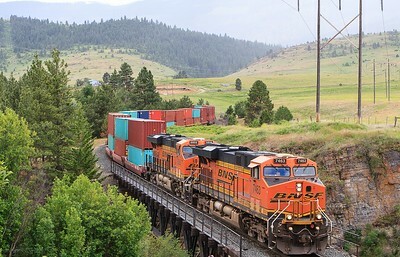 A Continental 737-900 passes 1000' below us near Grand Junction, CO.
BNSF Dash9-44 4745 leads an empty grain train onto the Fallbridge sub to begin it's run back to the midwest. 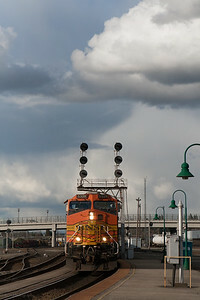 Dash-9-44CW 5328 comes south past the Vancouver, WA Amtrak station underneath threatening skies. 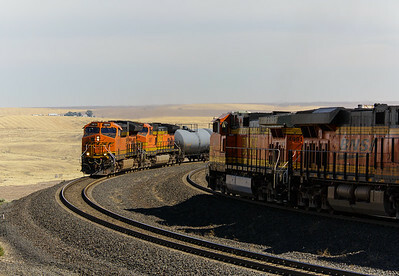 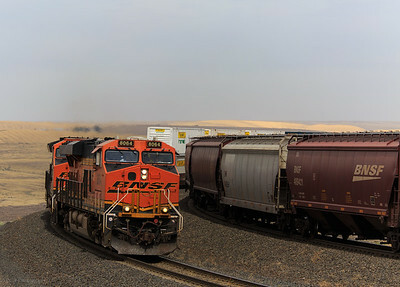 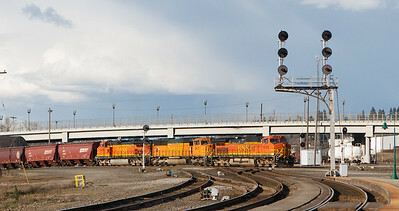 BNSF Dash9-44CW 985 leads an empty municipal waste train back towards Seattle. 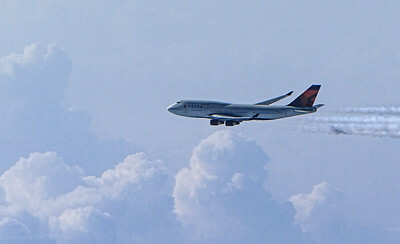 A CXST local begins the pull up the Tucker siding while a King Air descends for a landing at PDK. 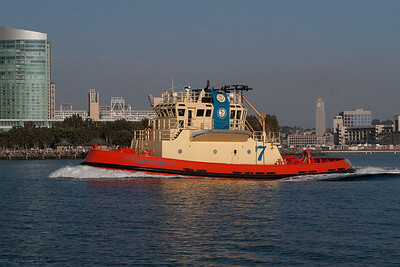 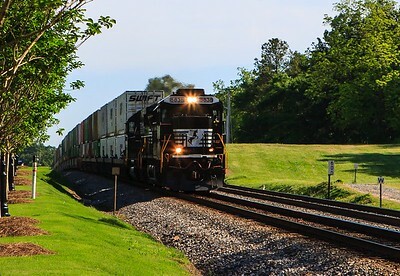 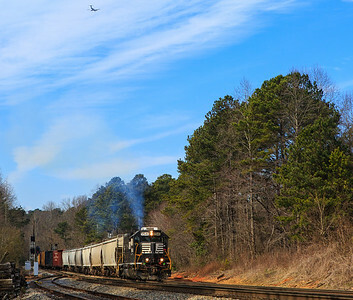 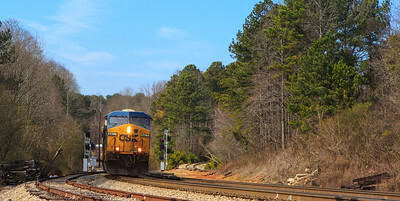 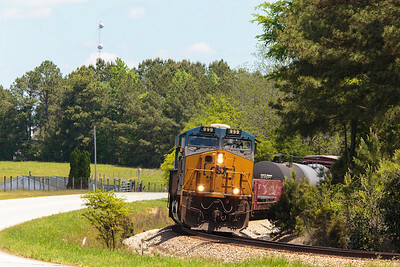 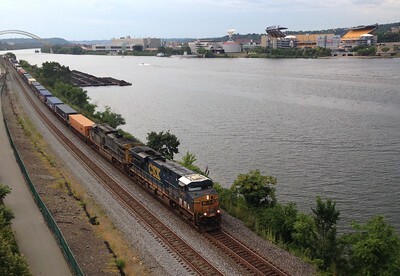 CSXT 5477 East charges up the ruling grade on the Abbeville sub at the southend of Tucker. 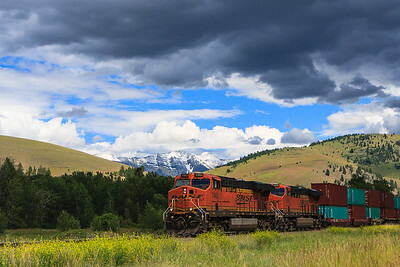 BNSF ES44DC 7463 climbs towards Paradise, Montana on MRL's 10th Subdivision. 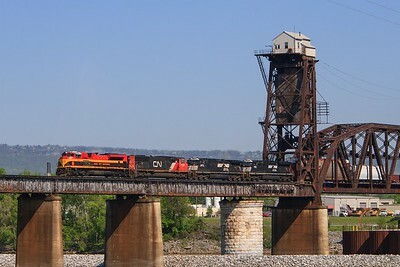 Stacker meeting Grain at the crest. 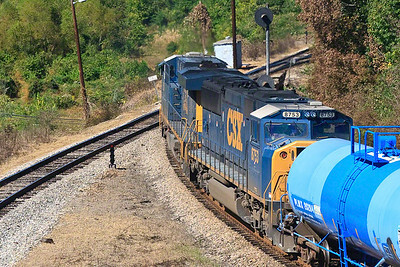 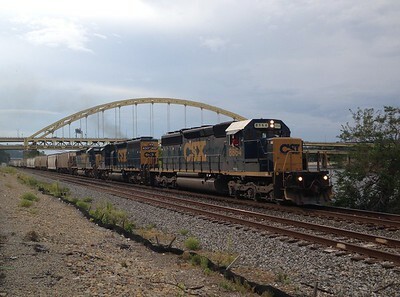 After a quick crew change, CSXT 5337 and 8753 begin the pull for Birmingham. 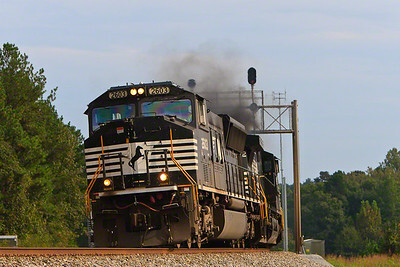 Smoking it up on the B'ham East End district. 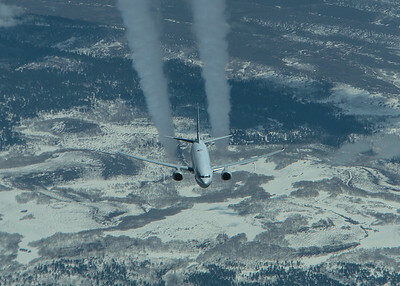 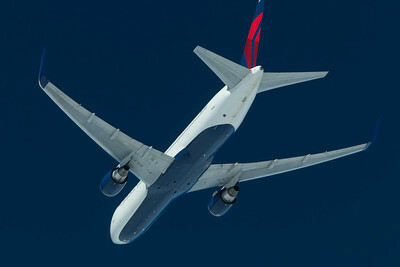 Delta's daily JFK-NRT flight passes to our right as we both wing west towards the Aleutians. 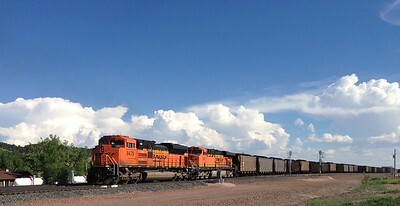 Stackers meeting at Rio Puerco.